Joe and I have completed a new video for my song Rise Another Leaf. 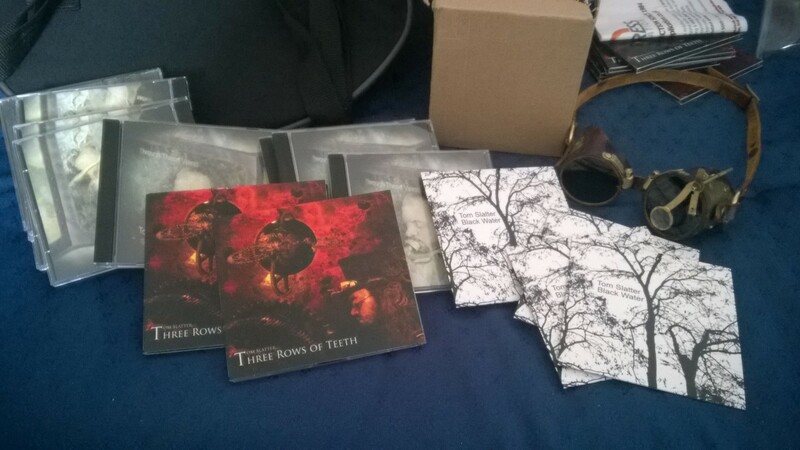 This is to accompany the reissue of a new expanded, remastered digital edition of Three Rows of Teeth which will be released next week and can be pre-ordered here. I’ve been doing a stock take. All can be found on bandcamp. Deep pleasure. Hard to argue with that. Here’s a link to the review. It’s worth having a look at the site in general if you like this proggy stuff. Three Rows of Teeth is now out! What am I doing at the top of a list that includes King Crimson and Genesis? Look at the picture above – I’m legitimately at the top of a list that includes King Crimson and Genesis? How surreal. Of course it’s only because I’m a new artist on Progarchives.com, but it still pleases me greatly even though I wouldn’t dream of placing myself above those artists in terms of quality or popularity. John Wetton is a singer I have a lot of time for, so it’s nice to be compared to him. Anyhoo, what have I been up to? Well the big news is that I’m recording my third solo album. Backing tracks (Drums, bass, rhythm guitar and keys) are pretty much done, which leaves lead guitars, vocals and silly beepy noises to add. After that mixing and mastering, artwork and so on. Probably another two or three months at the very least before it’s finished. As pleased as I am with Ironbark, my production skills continue to improve and I want to challenge myself to produce a really good indie record with this. It’ll be more electric guitar based than previous albums but still similar to my rockier numbers. The songs from the Mother’s Been Talking to Ghosts Again EP will be reworked to form part of the album, so you’ve already heard some of the pre-production demos as it were. There will also be a few other numbers – and if you’ve been following the demos on my 52 Things page, (see above) you’ll have heard most of the album in its embryonic form. I have good feelings about this project – I think it’s going to be my best music yet.